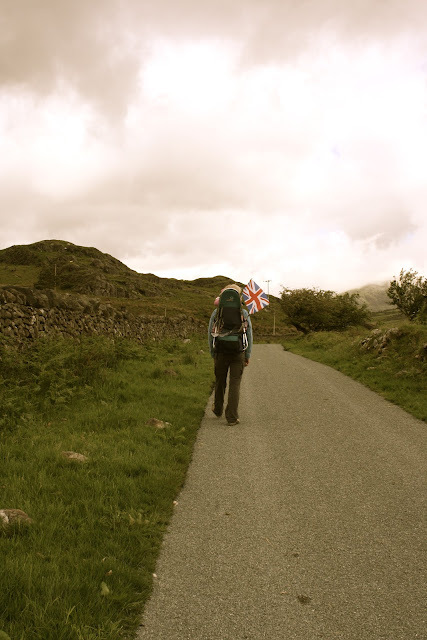 A brief little jaunt to Snowdonia was our activity of choice this half term. (Yes I am married to a teacher, and yes he does get 12 weeks off a year - whoop whoop !!) The place we stayed in was where we visited this time last year. 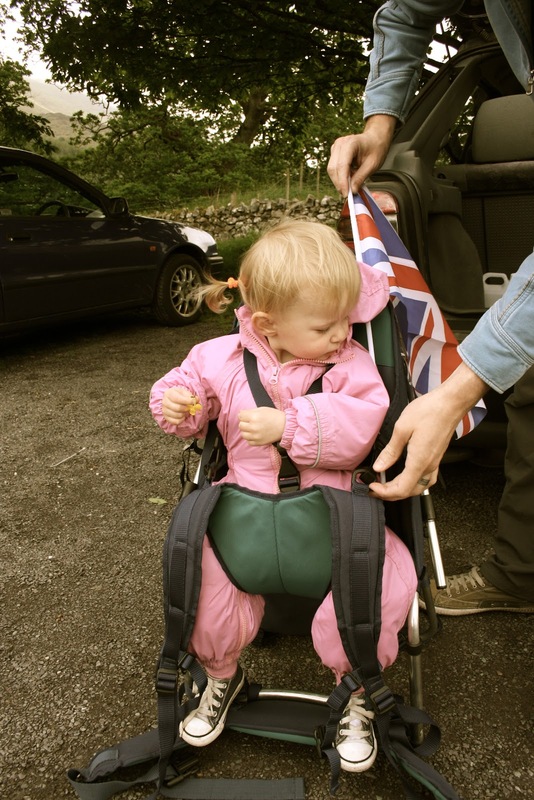 Willow was just 8 months old then, still not sleeping through the night - so things were different. I had much less energy, and felt a bit of a mess. But it was a special time, I love holidays however small and cheap. I'm a quality time kind of girl, and time with my lovely husbando in wet wales rivals any sunny beach holiday without him. He's a real gem. This year I think he felt less like a single parent with a small kid and a large one to look after, and more like a Dad on holiday with his family. The thing I find hardest about this illness malarky is the affect it has on him. I never wanted him to be my carer. This week, although there were trips to the see the sheep in the field while mummy stayed in bed, I made us a picnic - yes it's true, sandwiches in tupperware pots and everything, and we picnicked at the foot of a mountain altogether......who needs to see the summit anyway ! Willow was fairly determined the flag should come too, encouraged slightly by her very patriotic father. There was an attempt to ride the toy railway (but there had been an 'incident' on the line - didn't ask anymore about that ! ) 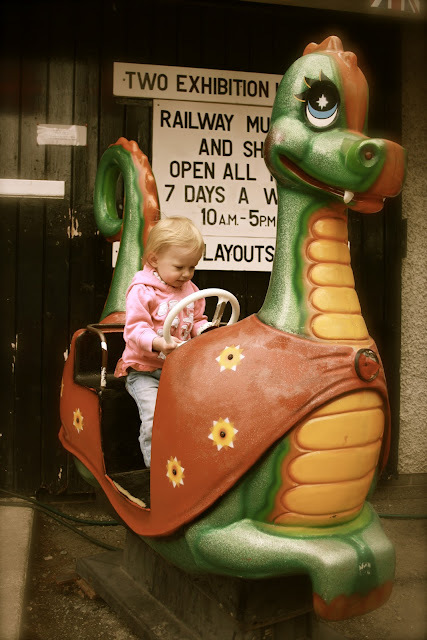 so instead Willow rode on a little dragon thingy, which only cost 20p and went on for soooooo long she got bored before it finished....the Welsh clearly know how to make rides for kids ! Oh and a sneaky curry at the local balti house.....it was seriously delicious. Labels: CFS. Happy days, Holidays. Thankfulness. It's never easy to accept a carer role from your partner, even when it works both ways! I like to muse, to think and to write. Often about family life and daily goings on, occasionally things that are on my mind, and sometimes the greater mysteries of God, politics and injustice. I have CFS ( chronic fatigue syndrome ) this blog isn't just about that, but it inevitable features as it's a large part of my life. I try not to take myself too seriously, but occasionally this is my outlet for my more serious thoughts ....when they do arise !! See it Snap it, love it. See it snap it love it - MESSY !